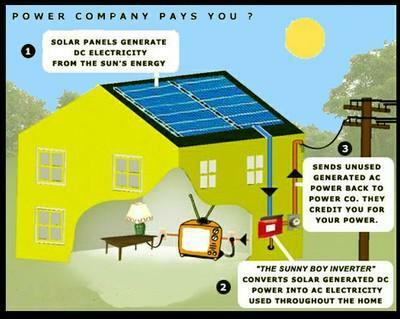 Many friends have enquired about availability of solar electric systems in Pakistan. I tried to contact many companies, claiming to have such systems including Siemens Pakistan, they did respond to my emails but failed to give any further information. Today there is a news item from APP about the offer from Highnoon Group to electrify one village. I just found their website and have gathered some information from there, which is being posted here. I shall continue my search about solar systems and update visiting friends. I have decided to create a separate category about energy in order to gather all the information under one category because energy is the main issue these days in Pakistan; we have to explore new ways to have cheaper energy sources. Solar electric panels are high- efficiency, low maintenance ways to turn sunshine into usable electricity right at the location of the power demand. Solar electric panels, or photovoltaic (PV) panels, are mounted in an unshaded area facing south, southeast, or southwest for use in a home or business that is already supplied with utility power or a home or cabin that is located a distance from power lines. Solar electric panels which are used in a system that already has utility power is called a ‘grid tie.’ These systems use no batteries but co-exist with the current utility grid, providing the best of both worlds. 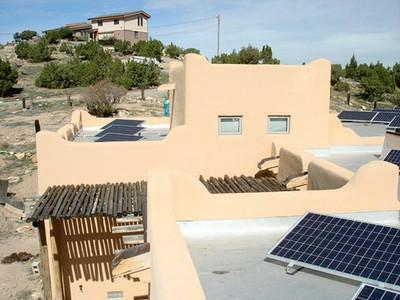 Solar panels that are used on a home or cabin that does not already have utility power is called an off- grid application. These systems use batteries to store power for night use and cloudy days, providing an independent, stand- alone system. High Noon Solar is highly experienced with solar electric design and installation of both types of applications, grid tie and off grid. Follow the links below to learn more about the solar electric system that best fits your situation and needs. With the cost of electricity progressively escalating and with a climate crisis hovering near, there is no better time to make an investment in solar electric panels for your residence. A solar electric grid tie is one of the simplest, low maintenance investments you can make in your home, as well as for your planet. In addition to the practical benefits of solar, High Noon Solar installs the top of the line in solar panel technology: Sunpower. 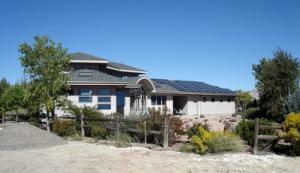 Sunpower panels make a solar system no longer look like a solar system. The panel’s black frame and lack of metal ‘leads’ create a final installed appearance that is integrated and stylish, not obtrusive and unsightly. There is no better time to take the first steps toward owning your own power. Thanks for sharing the information of solar system in pakistan. Expertise Installation of Solar Systems,Solar Water Heaters and Solar Tube Wells along with quality materials such as Solar Panels , Charge controllers, Inverters /UPS, Imported deep cycle Batteries, connectors.